Wind me up and watch me paddle! 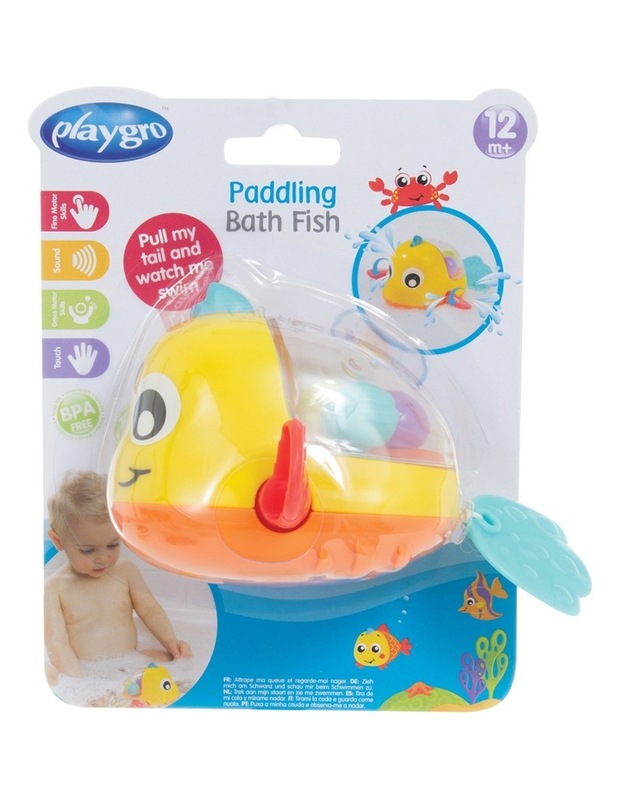 This adorable paddling bath fish has coloured balls on his back that spin as he paddles around the bath! His fin's paddle around and around, creating a little splash! 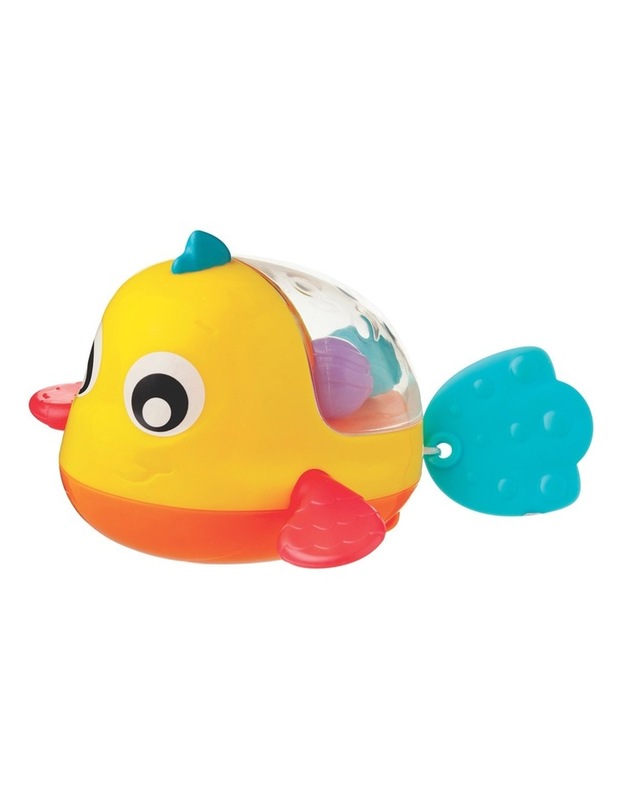 Baby will love pulling the fish's tail and chasing him around the bath while learning cause and effect. 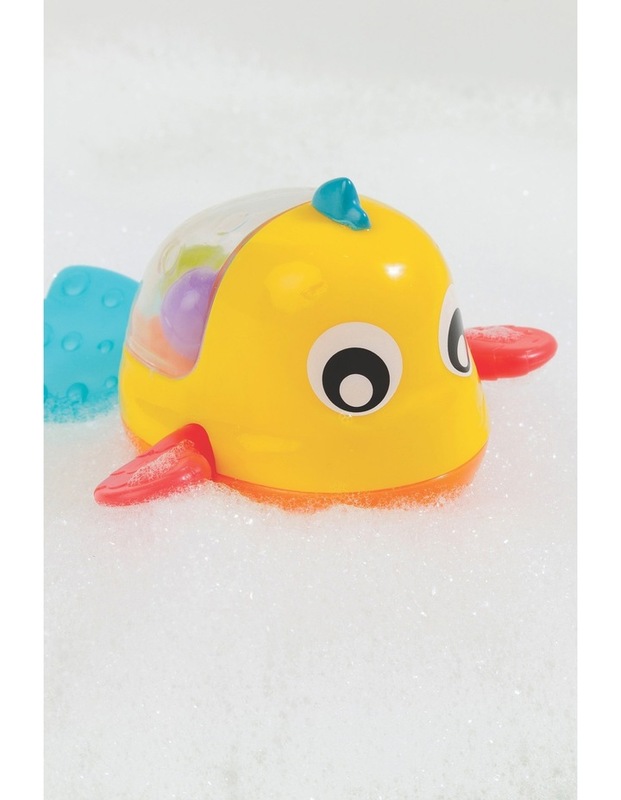 Available in two different colours, this cute fish helps to develop baby's visual perception and eye coordination while making bath time fun.